BLOWOUT deal!! 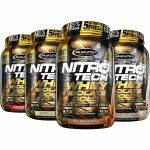 4 tubs of the MuscleTech Nitro-Tech Whey + Isolate Gold for $43.99 at Supplement Hunt! 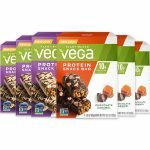 This is an Isolate first protein which is getting great reviews on Amazon on Flavor. Yes, that’s $11 per tub!! Available in 4 flavors which you can mix & match. The same 4 tubs sell for $28 per tub on Amazon or $112 for 4 tubs! For More Supplement Hunt Deals.